Beauchamp Bagenal Harvey of Bargy Castle, Co Wexford, Ireland was commander of the United Irishmen in Wexford during the 1798 Rebellion. He was a barrister who was educated at Trinity College Dublin, a promoter of catholic emancipation and of parliamentary reform. He was a cousin of the founder of Bagenalstown Co Carlow, Ireland. Bagenalstown, which its founder modelled on Versailles in France, is now called Muine Bheag. In 1792 Bagenal Harvey joined the Society of United Irishmen in Dublin. He was elected as chairman in 1793. Shortly before the outbreak of the 1798 Rebellion he was arrested at Bargy Castle on 26 May 1798 and was imprisoned at Wexford Gaol. When the rebels captured the town of Wexford on May 30th 1798 Bagenal Harvey and the other imprisoned rebels were released. Once released, Bagenal Harvey was appointed Commander-in-Chief of the rebel forces. It is said that he was unwilling to accept command. However he accepted the command in the hope of finding a peaceful conclusion to the rebellion and keeping any excesses in check. He sent a message to General Johnson in New Ross demanding the surrender of the town but the messenger was shot. Following the shooting the town of New Ross was attacked and though successful at first the attack was eventually repulsed. Reports say that over 2,000 United Irishmen were killed. Following the defeat the rebels burned a barn a Scullabouge where they were holding up to 200 men, women and children as prisoners. Following the defeat and the massacre at Scullabogue, Bagenal Harvey resigned and returned home to Bargy Castle. A short time later Bagenal harvey and another United Irishman Henry Colclough left home and travelled to the Greater Saltee Island off the Wexford coast. They intended travelling to France. They were captured however, and taken back to Wexford. 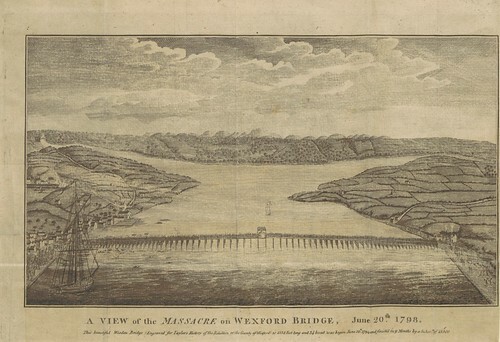 Bagenal Harvey was tried convicted and hanged on Wexford Bridge. 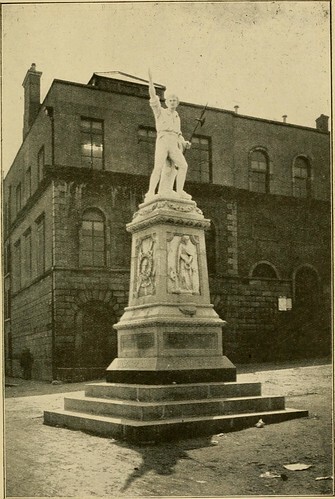 Afterwards his body was beheaded, the torso thrown into the River Slaney and his head was displayed on a spike at the courthouse in Wexford town. Beaauchamp Bagenal Harvey, commander of the United Irishmen in Wexford during the 1798 Rebellion, was hanged in the year 1798 On This Day.